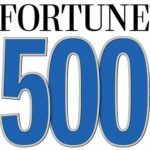 Here are listed all the Fortune 500 corporations which have at least one of their Board members registered with Talent4Boards as guest member. The Fortune 500 is an annual ranking of the top US 500 corporations compiled and published annually by Fortune magazine. The list includes public companies, along with privately held companies for which revenues are publicly available.